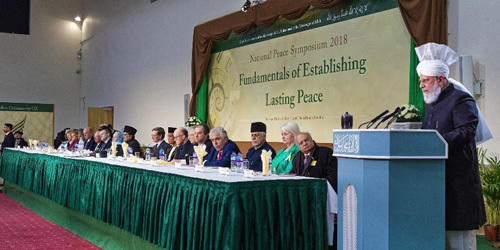 Keynote Address delivered by Hazrat Mirza Masroor Ahmadaa, Khalifatul Masih V, Head of the worldwide Ahmadiyya Muslim Community on 25th March 2017 at 14th National Peace Symposium UK held at the Baitul Futuh Mosque in South London. 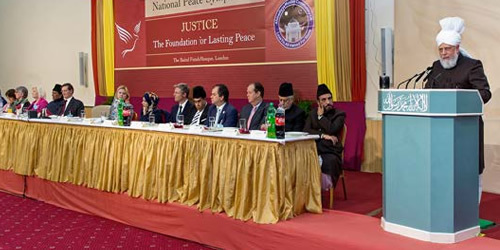 Keynote Address delivered by Hazrat Mirza Masroor Ahmadaa, Khalifatul Masih V, Head of the worldwide Ahmadiyya Muslim Community on 19th March 2016 at 13th National Peace Symposium UK held at the Baitul Futuh Mosque in South London. 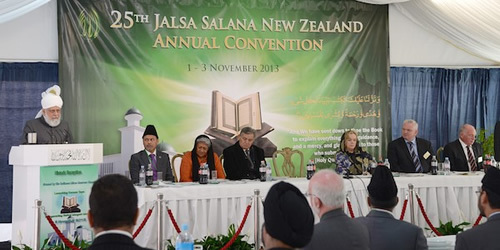 Keynote Address delivered by Hazrat Mirza Masroor Ahmad (aa), Khalifatul Masih V, Head of the worldwide Ahmadiyya Muslim Community on 2nd November, 2013 at a special reception to mark the inauguration of the Baitul Muqeet Mosque in Auckland, New Zealand. 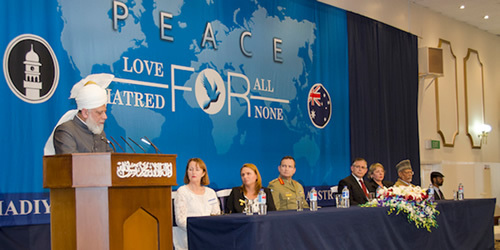 On 23rd October 2013, the worldwide Head of the Ahmadiyya Muslim Jama’at and Fifth Khalifah, Hazrat Mirza Masroor Ahmad (aa) delivered the keynote address at a special reception held to mark the opening of the Masroor Mosque in Brisbane. 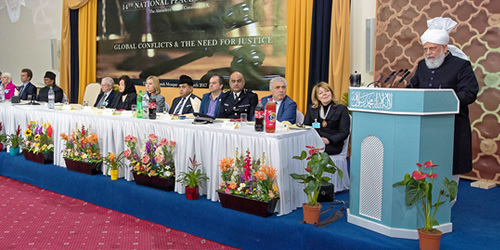 Hazrat Mirza Masroor Ahmad (aa) delivered the keynote address at a special reception held at the Princess Court Reception Centre in Melbourne on the evening of 11th October 2013. 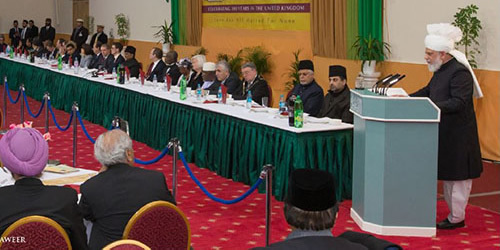 His Holiness spoke on the global financial meltdown, the Arab Spring and Syrian Crisis, and why all of this is leading the world to a global catastrophe. 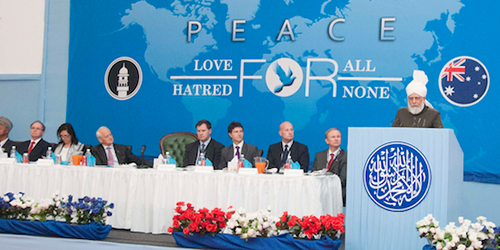 Keynote Address delivered by Hazrat Mirza Masroor Ahmad (aa), Khalifatul Masih V, Head of the worldwide Ahmadiyya Muslim Community on 2nd November, 2013 at the 10th Annual Peace Symposium held at the Baitul Futuh Mosque in London, UK. 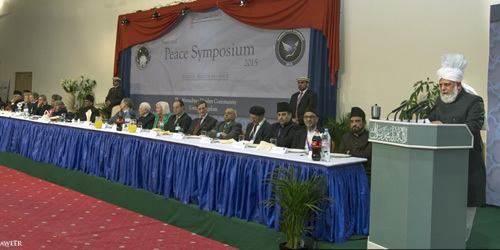 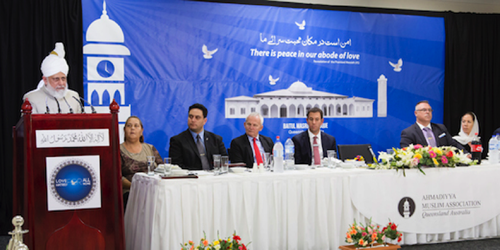 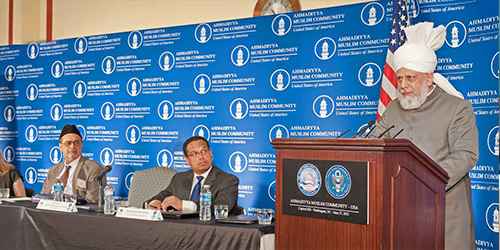 On 27th June 2012, a historic event took place at Capitol Hill in Washington, D.C. Hazrat Mirza Masroor Ahmad (aa) addressed leading congressmen, senators, ambassadors, NGO leaders, religious leaders, professors, representatives of think-tanks and the Pentagon and journalists from the media. 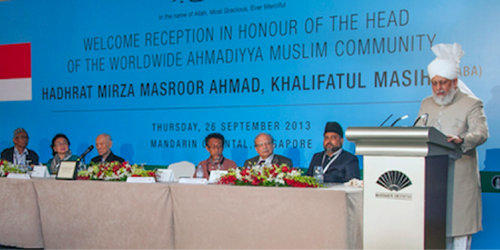 The world is passing through very turbulent times. 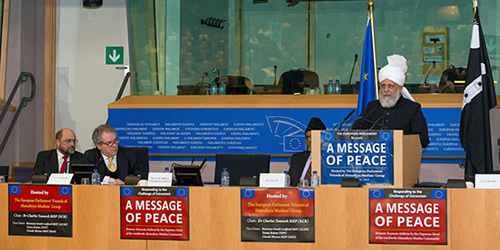 The global economic crisis continues to manifest newer and graver dangers almost every week.